Opponents of pipeline construction in Virginia are outraged over a decision from the state’s Department of Environmental Quality. DEQ says it won’t assess possible damage to rivers, streams and wetlands before deciding whether to issue permits. Sandy Hausman has details. 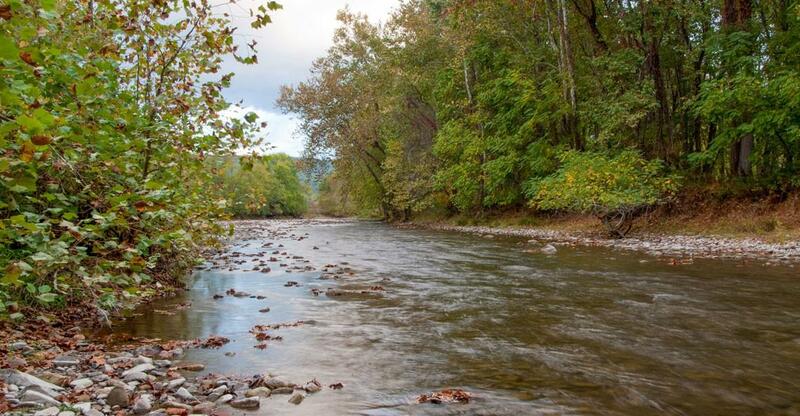 The Cow Pasture River, one of the most pristine in Virginia, could be subject to blasting if the Atlantic Coast Pipeline is built. Environmentalists expected the state to analyze possible impacts at every place where proposed pipelines crossed rivers, streams and wetlands. Ernie Reed, who heads a group of pipeline opponents called Friends of Nelson, doubts these projects could be built if water quality was considered. And at the Southern Environmental Law Center, Senior Attorney Greg Buppert claims the projects could damage water quality at many locations. “We’re talking about 700 – 800 river and stream crossings for the Atlantic Coast Pipeline alone – hundreds more for the Mountain Valley Pipeline,” Buppert says. He adds that Dominion Energy will have to blast in or near more than 500 streams and rivers, so the state should step up. Dominion Energy issued a statement pledging to protect the environment and noting that the Army Corps of Engineers would consider the impact to water quality overall, but Ernie Reed says that is not enough. DEQ says it decided not to review each and every water crossing, because that would duplicate the work of the Army Corps. Instead, it says, it will focus on the environmental impact of pipelines in places not covered by the Corps such as ridge lines and hilltops.